Baldwinsville Bees shutout the Rome Free Academy Black Knights, 5-0, at the Lysander Ice Arena in Baldwinsville, New York on Tuesday, December 5, 2017. If you find 3 or more photos of a player or team, inquire about the Athlete Special USB Drive product. Use the Contact Link on this page. 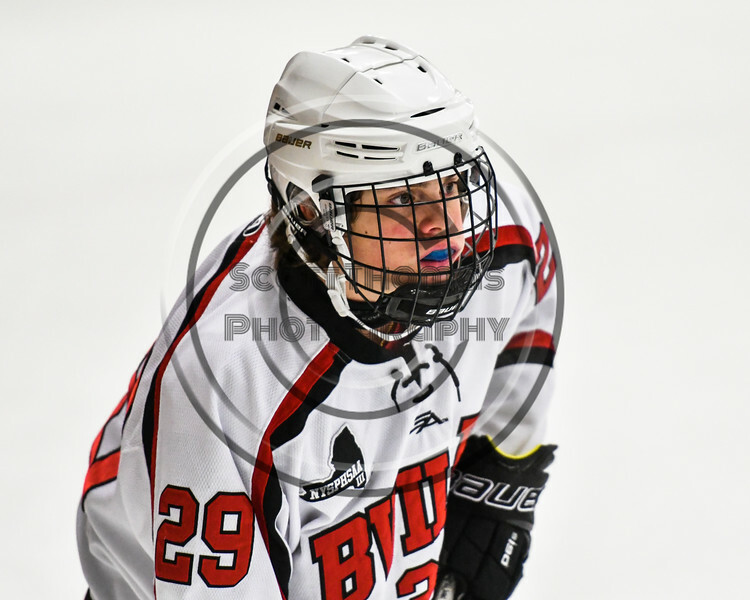 Baldwinsville Bees Cody McCarthy (29) before a face-off against the Rome Free Academy Black Knights in NYSPHSAA Section III Boys Ice hockey action at the Lysander Ice Arena in Baldwinsville, New York on Tuesday, December 5, 2017. Baldwinsville won 5-0.